1. 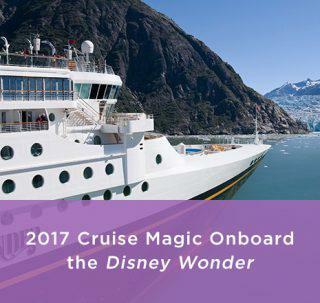 When you check in online or at the embarkation terminal, enter your Disney® Visa® Card as your form of payment for all onboard purchases. 2. On the ship, your “Key to the World” card will indicate that you’re a Disney Visa Cardmember and eligible for the perks listed below. 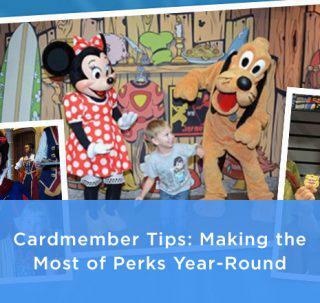 Perks cannot be combined with any other offers or discounts, including Cast Member, Annual Passholder, Disney Vacation Club® or Florida resident. 3. Please mention these offers to ensure you receive the savings. Professional photographers are available on Disney Cruise Line ships to capture your Disney vacation memories starting the moment you step aboard. From candid shots and custom studio portraits to photos of meeting your favorite Disney Characters, you’ll find plenty of opportunities to strike a pose. Later, you can select and purchase your favorite photos. Disney Cruise Line offers a variety of merchandise that you can enjoy at sea or at home. Have a blast three different ways with this fun and exciting adventure package, when visiting Disney Castaway Cay, a private island paradise. Snorkel – Immerse yourself in an exciting snorkel adventure for the entire family—perfect for beginners and experts alike. One-Hour Bicycle Rental – Take off on a delightful 2-wheeled adventure across our private island oasis. Traverse tropical terrain and winding offshore paths at your own leisure. Float or Inner-Tube Rental – Move with the motion of the ocean as you bounce, bob and sway atop the gentle waves of the crystal-clear waters in a cozy float or inner tube. Rejuvenation and beautifying services for adults, couples and teens while in port. The Senses Spa & Salon provides tranquility, pampering and relaxation with a multitude of spa and beauty treatments. Experience pure bliss, indulgent luxuries and inner contentment in an environment designed to soothe the senses. Chill Spa – Designed exclusively for cruise Guests 13 through 17 years of age, this oasis is located inside the Senses Spa & Salon. Located onboard the Disney Magic, Disney Dream, and Disney Fantasy, Chill Spa is bedecked in a soothing palate of green, brown and blue hues and accented with a tropical flower motif and rich wood finishes, onboard the Disney Magic, Disney Dream, and Disney Fantasy cruise ships. Order a Disney Rewards Redemption Card before your ship sets sail, so you can redeem Rewards Dollars toward all onboard purchases. 10% off a non-discounted digital photo package. Offer and offer elements are subject to availability and additional restrictions, and may change or be canceled without notice. Valid only on 10-photo, 15-photo, 20-photo, and all-inclusive digital photo packages. Not valid for other photo purchases such as photo books, retail items, printed photos, folio packages or Shutters Portrait Studio. In order to receive special Disney Cruise Line perks, Disney Visa Card must be used to pay for onboard purchases for sailings through 12/31/19. Cannot be combined with any other offers or discounts including Cast Member, Castaway Club, and Disney Vacation Club® offers or discounts, and is for personal use only. Ships’ Registry: The Bahamas. Chase is not responsible or liable for fulfillment of this offer. 10% off select merchandise purchases of $50 or more. Offer and offer elements are subject to availability and additional restrictions, and may change or be canceled without notice. Discount is not valid on previous purchases or on purchases of Port Adventures (Excursions), photos and photo packages, trunk shows, fine jewelry and timepieces, Disney Gift Cards, tobacco, alcohol, Add-a-Dollar (Disney Wildlife Conservation Fund), postage stamps, original or consignment art, select limited editions, select specialty items, purchase-with-purchase offers, newspapers/periodicals, Blu-rays, DVDs, CDs, sundries, kitchen production/prepared foods, digital/video/disposable cameras, film, consumer electronics, National branded fragrances, treatments and cosmetics, select collectibles, handmade items, Bibbidi Bobbidi Boutique and Pirate League packages, themed experiences (e.g., Royal Court, Royal Tea), shipping or taxes, or on phone, email, online or mail order purchases, or at merchandise locations located at Disney Castaway Cay. Not valid at Tiffany & Co.® Jewelry store. 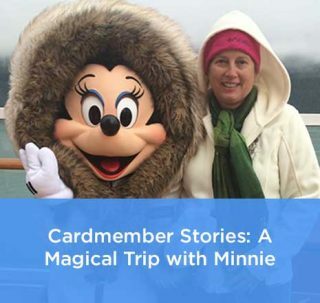 In order to receive special Disney Cruise Line perks, Disney Visa Card must be used to pay for onboard purchases for sailings through 12/31/19. 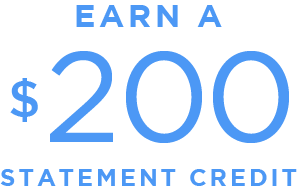 Cannot be combined with any other offers or discounts including Cast Member, Castaway Club, and Disney Vacation Club® offers or discounts, and is for personal use only. Ships’ Registry: The Bahamas. Chase is not responsible or liable for fulfillment of this offer. 20% off select spa treatments and services. Offer and offer elements are subject to availability and additional restrictions, and may change or be canceled without notice. Valid for non-discounted massages or facial treatments on port days only. In order to receive special Disney Cruise Line perks, Disney Visa Card must be used to pay for onboard purchases for sailings through 12/31/19. Cannot be combined with any other offers or discounts including Cast Member, Castaway Club, and Disney Vacation Club® offers or discounts, and is for personal use only. Ships’ Registry: The Bahamas. Chase is not responsible or liable for fulfillment of this offer.